In spite of all the scientific and medical advances that have been witnessed in the past years, the one lifestyle condition that still continues to trouble individuals is obesity. A significant number of the American populace is obese! And that is precisely why weight loss and dietary aids yields billions in sales annually. Weight loss supplements have become quite popular. And when an individual is looking for a supplement to assist them in their journey to lose weight, it’s no doubt that you want something that tastes great and is easy to ingest. This is where Hydroxycut Gummies come in. Apart from the nice taste, Hydroxycut Gummies help individuals lose weight without any stimulants. It is mainly made up of Robusta coffee extract and numerous vitamins. These gummies are mainly intended for those who are looking to shed off some weight. One of its ingredients (C. canephora robusta) is vital to assisting an individual burn fat without using stimulants. Another study showed that c. robusta helped those involved lose approximately 3.7 lbs. more compared to placebo. 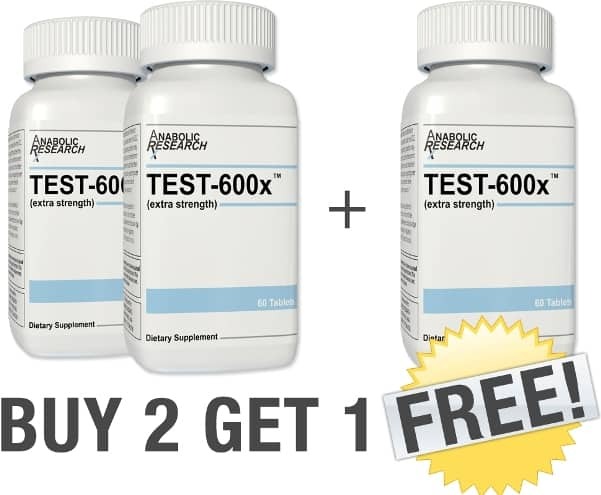 This two-in-one supplement will definitely appeal to anyone who wishes to reduce the quantity of pills, tablets, or capsules that they have to ingest on a daily basis. Some find it quite overwhelming keeping tabs of how much pills they should take and when to take them. That is not the case with Hydroxycut Gummies; they offer what is needed in tidy and neat package. The optimal dose is a usually a set of two times per day and so you will not have to set any reminders on your calendar. Hydroxycut Gummies present a great fun way of giving your body its much needed nutrients. The gummies are delicious and are the total opposite of having to consume shakes or drinks. It is a convenient way of getting these nutrients and is perfect for those who are always on-the-go. Coffee canephora is simply an extract of the Robusta coffee bean. It is one of the key ingredients of Hydroxycut Gummies and does several things for your body. An unroasted green coffee bean is rich in chlorogenic acid, which is use to boost metabolism. An increased metabolism means an equally increased thermogenesis rate and a reduced possibility of body fat re-appearing. Every serving of Hydroxycut Gummies provides about 200 mg of C. canephora. Often referred to as the eyesight vitamin, vitamin A plays a huge role in supporting a healthy immune system and reproductive system. It is also good for the heart, kidney, lungs as well as other important organs in the body. Pantothenic acid is part of the vitamin B family and is also commonly referred to as vitamin B5. It uses carbohydrates, fats, and proteins to support some of the necessary bodily functions. It also helps the body to create red blood cells and turns the food we ingest into energy that can be used by the body. Biotin is a part of the Vitamin B family, and is commonly known as vitamin H or co-enzyme R.
It plays an important role in the metabolic process, particularly in the creation and use of amino acids, fats, and carbohydrates. In addition, it helps in the conversion of nutrients to energy. Vitamin is responsible for enhancing the internal absorption of minerals such as calcium, magnesium, and phosphates. When frequently consumed it could keep off common health issues like muscle weakness, rickets, bone pain and osteoporosis among many more. Vitamin E has been found to have antioxidant properties which ward off the effects of free radical damage and aging. It can also prevent health issues like cancer, heart disease, Alzheimer’s and diabetes when regularly taken. It allows for quick recovery from cuts. It also plays a significant role in the formation of strong tissues and bones required for optimal functioning of the body. In addition, vitamin K is also perceived to helpful with various skin conditions like stretch marks and varicose veins. Selenium is a trace mineral known to enhance cognitive function as well as fertility. It has also been found to minimize of probability of cancer, cognitive disorders, and heart diseases in those who ingest it. This is an important in the immune function, cell division, production of protein and metabolic process. In men, it has been found to reduce the impacts of erectile dysfunction and improves the production of testosterone. Riboflavin is a medical product known to improve an individual’s well-being and good health. It helps in the generation of energy and making good use of the oxygen present in the body. It has an explicit function, which is turning carbohydrates into usable energy for the brain and nervous system. In bodybuilding, it plays a part in improved sending of signals by the nerves as well optimized muscle contraction fir quicker response time and reflexes. Apart from aiding weight loss without any stimulants, these Hydroxycut Gummies also reduce an individual’s body mass index. In order to be effective, the gummies should be taken twice a day and within 30 to 60 minutes before having your meal. According to the manufacturing company, one should not surpass two servings per day given that one bottle only lasts for thirty days. Exercising is not really necessary but training hard will definitely guarantee you even better outcomes. In addition, dieting is also not needed, but taking low calorie meals will help in achieving better outcomes as well. In as much as Hydroxycut Gummies only constitute essential minerals, vitamins, and green coffee extract, they still have a few side effects associated with its use. Just like most other supplements, it is not 100 percent ideal. There have been a few reports from the reports discouraging its use. Taking a quick look at some of it ingredients discloses that these gummies contain kelp fiber, spinach extract, caffeine and green coffee bean which assists in burning fat and increasing the rate of metabolism to an extent. It is important mention that Hydroxycut Gummies are not really the original product, but instead a sort of re-formulation. The preceding supplement featured ephedra, a controversial ingredient that was quickly banned back in 2002. 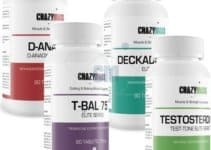 In 2009, the FDA gave a warning on using Hydroxycut products, as they found to produce serious side effects like liver disease, abdominal pains, jaundice, and brown urine. The manufacturer has tried making different reiterations in the constituting ingredients of the gummies in order to make it FDA safe but as it appears, the product still has a few potential side effects. The main one is ischemic colitis, which is a condition that causes constriction of the arteries and thus reduced blood flow. Caffeine overdose has also been found to be detrimental. First, Hydroxycut Gummies are super convenient. There is no preparation involved unlike powders or pills (need a glass of water to aid swallowing). Just throw one into your mouth and start chewing! Second, the gummies are tasty. Each bottle of the supplement contains 90 gummies of different fruit flavors. The recommended dose is two per day, and this makes it quite simple for someone not to forget taking them. Third, C. canephora actually works. The green coffee bean extract has been found to be very effective in burning fat and weight loss, which should give you some confidence that these gummies truly work! Fourth, you could go on a diet without having to sacrifice the essential minerals and vitamins, as this what the Hydroxycut Gummies offer. First, there are a few users who describe these gummies as mediocre. Even though it is indeed true that C. canephora works, it does so only by a tiny margin. With regards to losing weight, you will only notice some slight positive changes over the course of nearly one month. Those who want quick results might have to try out other supplements. However, for those individuals who do not rally mind shedding just a few pounds every 1 to two months then this is the supplement for you. Second, others complain that Hydroxycut Gummies do not deliver enough value for money. It is not as effective compared to other fat burner or weight loss supplements available on the market. Where to buy with peace of mind? You could get your Hydroxycut Gummies from most online and brick-and-mortar stores. However, we recommend purchasing from Amazon because apart from being a reputable retailer, it only takes a few clicks to place your order and have it delivered at your doorstep. Hydroxycut Gummies are a type of weight loss supplement that ought to be taken twice per day, about 30 to 60 minutes before enjoying your meals. Their great taste have made them a popular option. They also help with weight loss and their constituting ingredients have scientifically been proven to be effective. See other brands here!